I'm not sure this is categorized as over heating or not. If I keep using it I'm more than some minutes, the back cover of the the phone feels warm. I agree with Chris, Sony Xperia is better than Samsung Galaxy Y or Pocket. Hey guys. I'm seriously considering buying the pro of this but I want a clear answer to if the phone, for some reason does not support Whatsapp. I know Gingerbread does but does Sony not allow whatsapp on their phones or something? Thank you, this phone looks spectacular. I bought this phone last June 9, fortunately no overheating problem with my cellphone. Very good phone for its size and price. I would recommend this phone over Samsung Galaxy (Y, pocket and mini). AnonD-58502, 11 Jun 2012Is Xperia Mini different from Xperia Mini Pro? I wonder what's the keypad of Xperia Mini. Does... moreThis phone is good, I like the design and its features. it doesn't have keypad (virtual keypad only) and yes, it has auto rotate. When it moved landscape, the virtual QWERTY keypad wil appear. i bought the phone last week. no overheating issue at all. people these days comment bad things about anything that can mislead the public opinion. try to buy one now and see for yourself. for me i am satisfied with this fon. cool one. 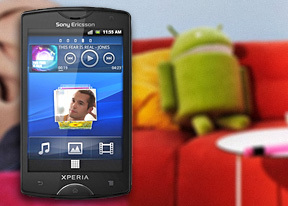 Sony Ericsson Xperia mini is beter or Sony Ericsson Xperia mini pro? the phn is really gd.It has 3 inch screen bt hv no prblm with tuch..
its 5 mp cmra is really gd wth 16x zoom bt hv prblm whn u in 8-16x zoom,its litl bid pixl ur pic.. I bought the xperia mini in April and notice it used to get overheated if used more than 10 mins. Esp when i use Watsapp or Gtalk or even normal messaging. Now the condition is such that since the outside temperatures are very high the phone completely zonks off and doesnt let me do anything. I cant even pick up calls and worse it doesnt even shut off so that i can restart it. in the end i hv to pull out the battery. it jus stops working and refuses to open any application or window. i am very disappointed. this was the first time i invested in a sony ericsson but never again... word to the wise invest your 12000 bucks somewhere else. totally not worth it. Had it for 1 month already. Sure it heats up occasionally (38-40 C)but functionality is unaffected & not a cause of alarm. Does SE sell batteries with more 'juice'? Have to recharge it 1x-2x a day. Hi? Is the battery good? Is Xperia Mini different from Xperia Mini Pro? I wonder what's the keypad of Xperia Mini. Does it have a qwerty keyboard too, and with auto-rotate?